What Happens if You Never Change the Oil in Your Car? Reduce fuel consumption when you drive. Extend the life of your tires to save money on replacements. Improve safety on the road. Here’s a look at the steps included in proper tire care and how to implement them. Under- and over-inflated tires wear out faster, waste fuel and are more likely to burst at high speeds. Fortunately, a simple tire pressure gauge and an air pump found at most gas stations can set your tire pressure right. Once a month, check the pressure of all your tires, including the spare. Even without a leak, tires can naturally lose about 1 psi of pressure each month. Also be sure to check the tire pressure before you make a long road trip. Make sure to fit each tire with a valve cap to help maintain proper pressure, prevent moisture from entering the tire and stop dust from obstructing the valve. For the best results, check the pressure when the tire is cool, such as before driving or within 3 miles of driving at a low speed. If your only option is to check when the tire is hot, add 4 to 5 psi to the manufacturer’s recommended pressure. To find out what this recommended pressure is, check the vehicle owner’s manual, inside the driver’s side door or inside the gas tank cover. Tire manufacturers carefully design their tires for various road conditions. However, peak performance is only possible if the tires have a safe amount of tread remaining. The easiest way to check tire tread is to perform the penny test, which you should do monthly. Insert a penny upside-down into a tire groove. If Lincoln’s head is obscured by the tread, you’ve within the legal minimum tread depth of 2/32 inch. If you can see all of Lincoln’s head, this is a sign it’s time to replace your tires. All new tires come with a load index. This indicates how much weight the tires can bear. If you overload your car, the tires could build up excessive heat and suffer a catastrophic failure. Tires also earn a speed rating. Most recommended tires today are rated for freeway speeds, but driving any faster than the speed rating could lead to rapid air loss and even sudden tire explosion. If you notice damage to a wheel or tire, don’t ignore it! Even if the tire isn’t flat, put the spare to good use and drive your car to Scott’s Fort Collins Auto & Repair for a professional opinion. Important maintenance tasks can only be accomplished by experienced mechanics with the right tools and equipment at their disposal. This is why you should trust all your tire care needs to the team here at Scott’s. Here’s a look at the tire services we provide. This involves removing each tire and wheel and placing it in a different position on the car. Tire rotation is important to ensure even tread wear. 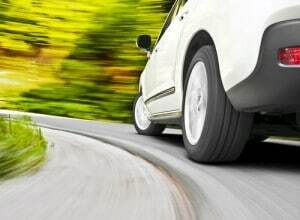 Have the tires rotates every 6,000 to 8,000 miles or follow your vehicle manufacturer’s recommendation. If a monthly penny test reveals uneven tire wear, you should rotate your tires even if it hasn’t been 6,000 miles yet. Also known as suspension alignment, aligning your tires makes your car safer to drive by preventing uncontrollable pulling to one side or the other. Proper tire alignment also reduces wear on your tires, increasing their life, performance and fuel economy. You should have your tires aligned every 4,350 miles, any time you hit a sizable object in the road, and when you replace suspension or steering components. It’s possible for tires to be mounted improperly, resulting in uneven weight distribution between the tire and wheel assembly. This results in bouncing and wobbling, which can decrease tire life, cause a bumpy ride and increase stress on your vehicle. Mechanics balance tires by adding compensating weights in the proper locations. You should have your tires balanced when you purchase new tires and any time you suspect a weight imbalance. Take advantage of expert tire services at Scott’s Fort Collins Auto & Repair today! Stop by at your convenience or schedule an appointment ahead of time by calling (970) 682-4202.